Hear from our employees about working for HealthHarmonie on our CAREERS BLOG. All our staff, both clinical and administrative are provided with career progression opportunities. Where possible, we promote internally, with opportunities to progress to team leader and management positions. All staff receive mandatory annual training in line with NHS requirements. In addition to this we offer training on IT systems, HR processes and talent management. We want to enhance the skills of our staff in line with their aspirations to ensure that they get the most out of working with HealthHarmonie. Many of our current staff have been with us for several years and in this time have progressed up to management positions with ongoing support and training. We welcome the ideas of all our staff, encouraging feedback and suggestions always. 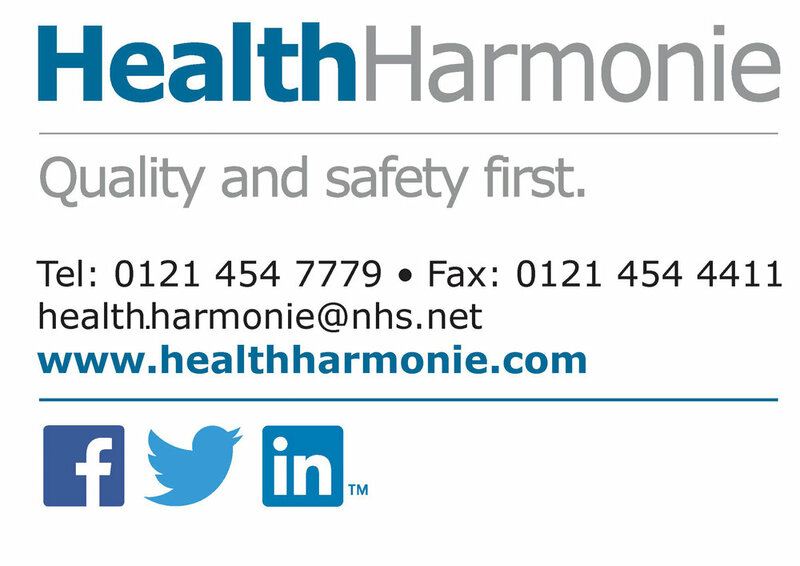 As an employee with HealthHarmonie you will be able to share your learning, ideas and developments with the whole team. We operate an open-door policy, ensuring that you can talk to managers and directors about your ideas and what you want to achieve.